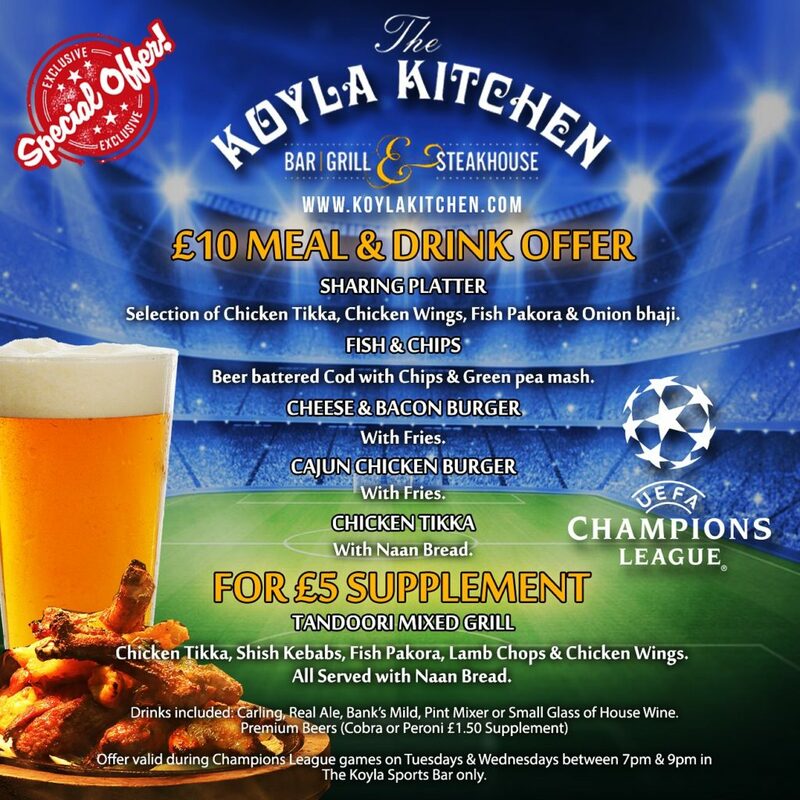 A Super Koyla Offer!! 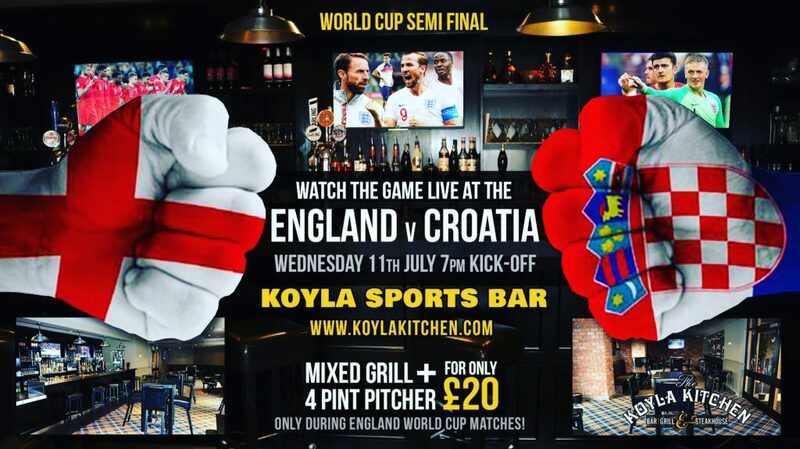 World Cup 2018 starts today! 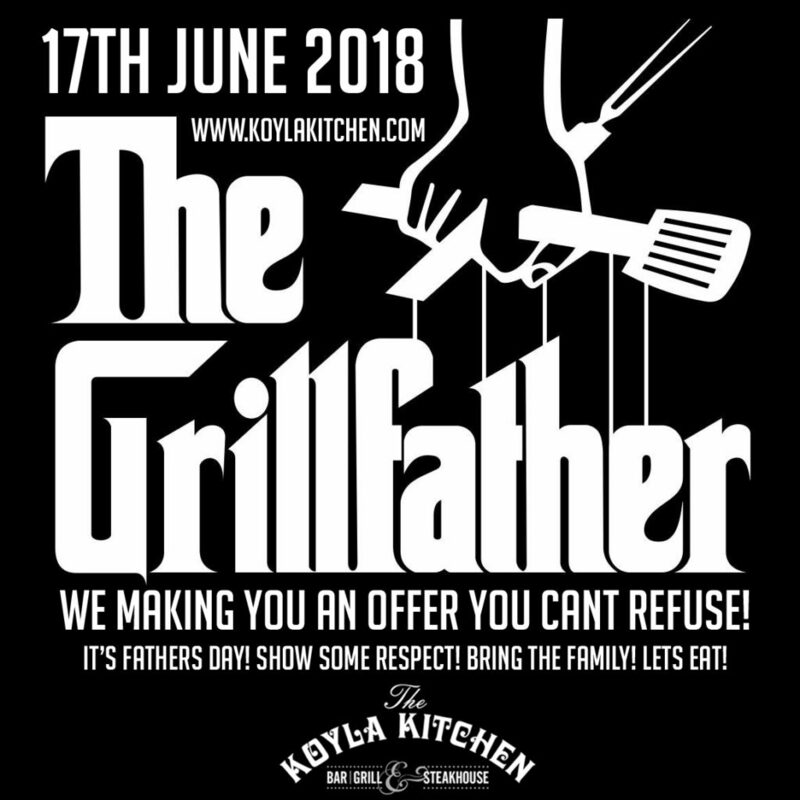 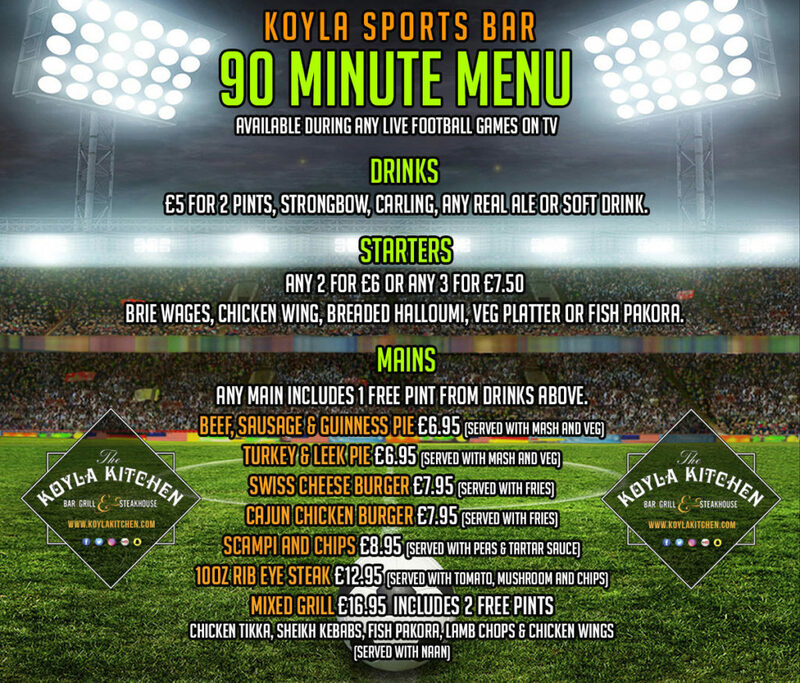 Get a FREE Pint of carling with every burger ordered at The Koyla Kitchen during any world cup game! 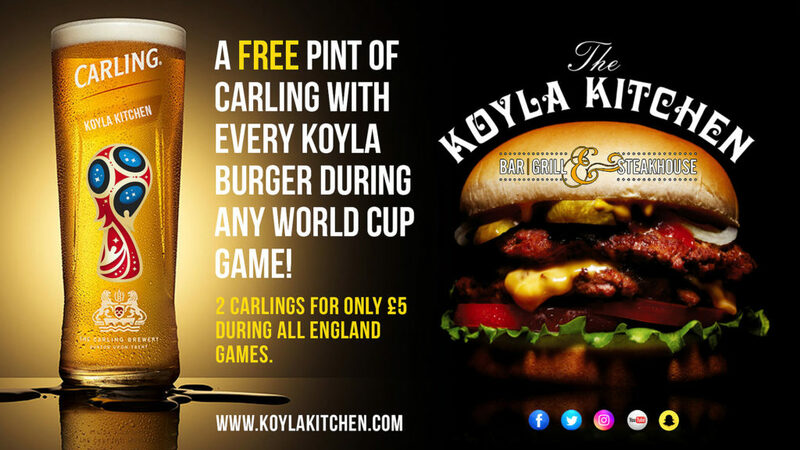 Also 2 carlings for only £5 during all England games.